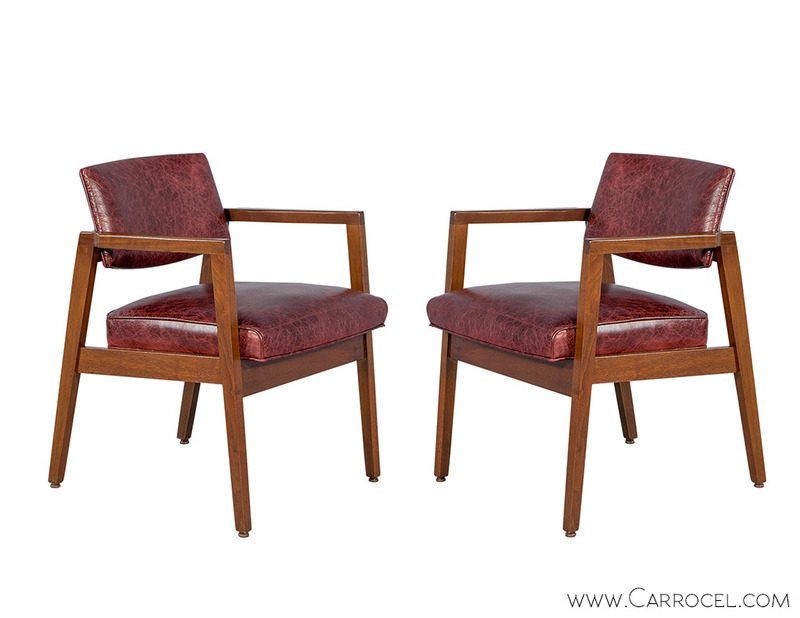 Simple but stylish, this set of two lounge chairs comes with original Mid Century Modern walnut frames in excellent condition. 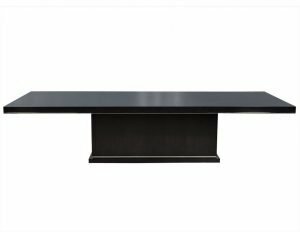 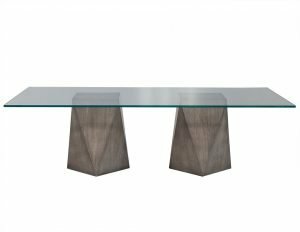 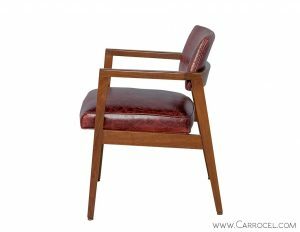 Cleanly joined, well finished, with gently tapered arms and a slightly bowed back, all in a soft matte finish. 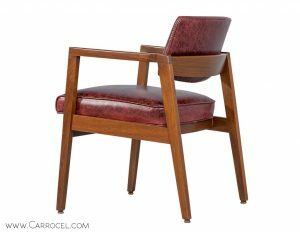 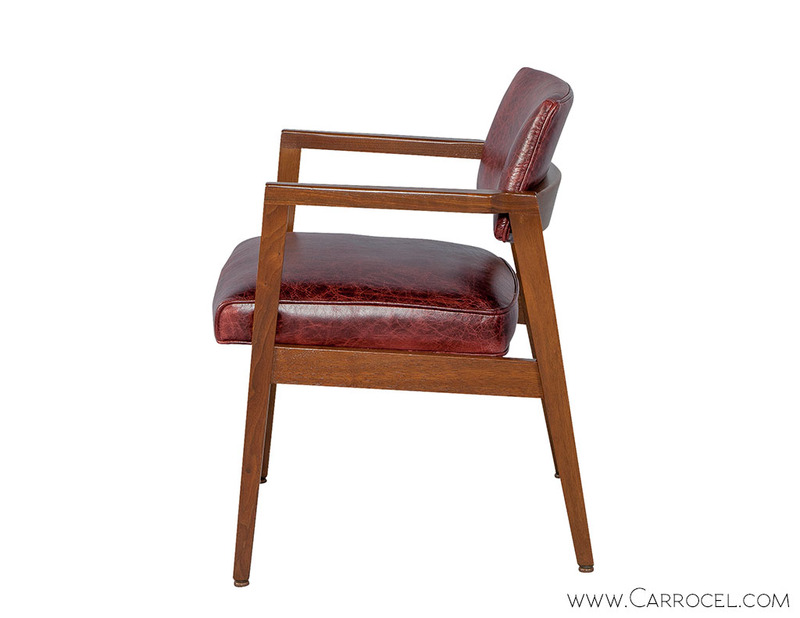 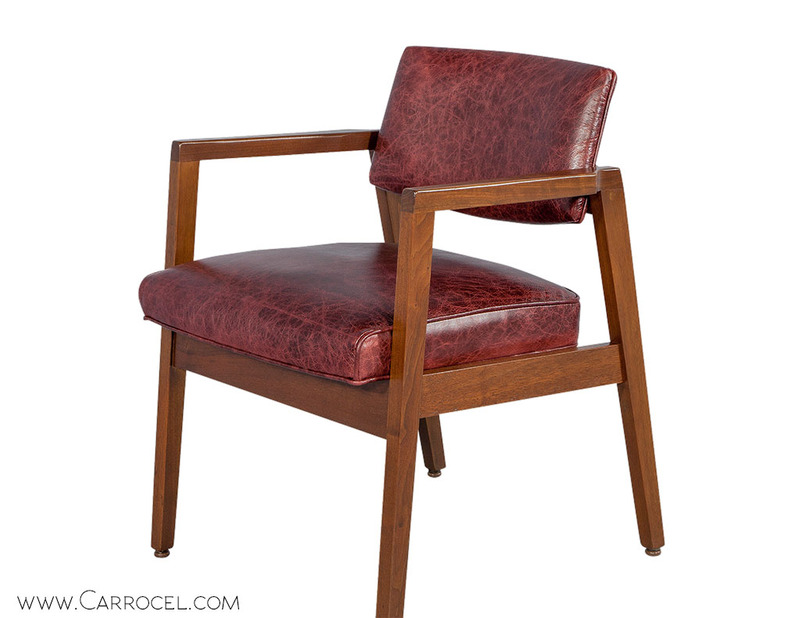 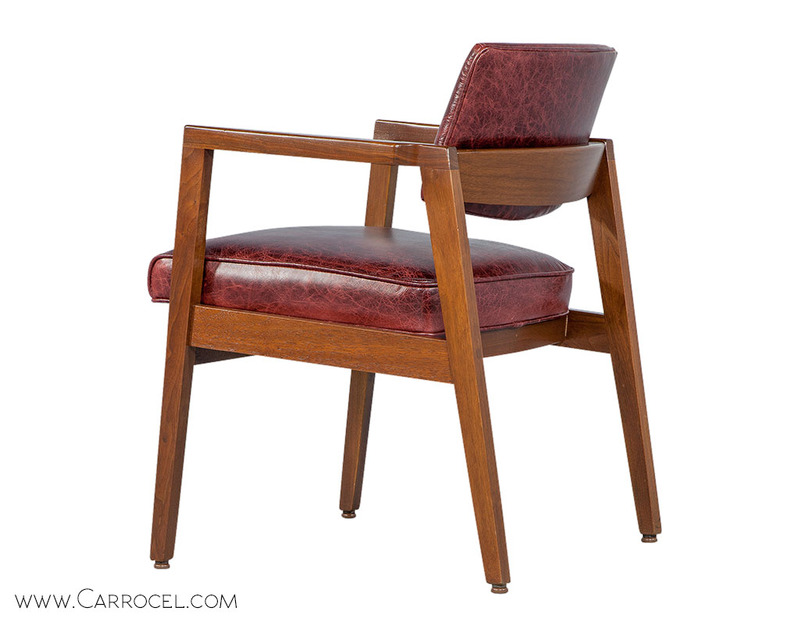 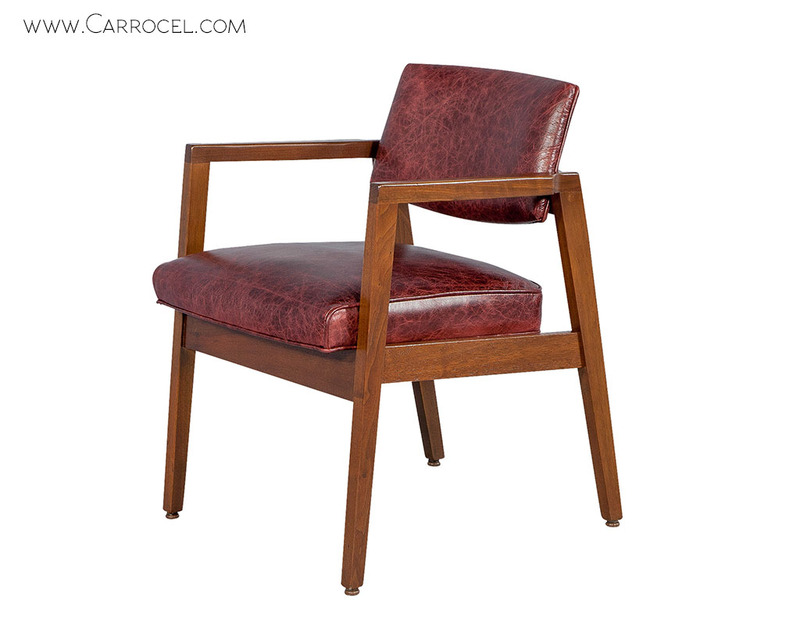 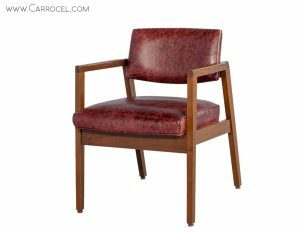 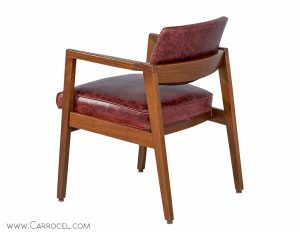 The frames have been restored by Carrocel with new leather upholstery on the seats and upper back supports, in a swatch that matches the vintage look.